NYC is brunch-obsessed, but you wouldn’t think of Curry Hill as the first place to go. Indian food before dinnertime? Not so much. 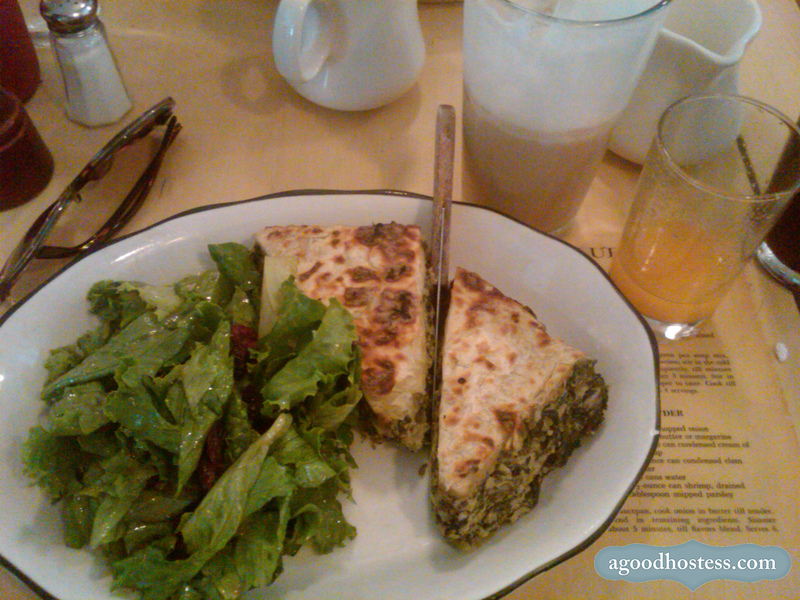 But in this neighborhood on Lexington Avenue (between Murray Hill and Gramercy Park), there’s a great little brunch place called Penelope (corner of Lexington Ave and E. 30th St). No samosas here, just mimosas. The place is adorable with a country kitchen kind of feel – bright and airy with vintage cabinets and tables. The food is delicious and the price is right – $14.50 prix fixe brunch of an entrée and the choice of a cocktail or coffee and freshly squeezed juice (haven’t had fresh OJ like this in the longest time). We went all savory, but there were some seriously tempting sugar-high-inducing options, like Nutella French toast (if M had been with me there’s a good chance someone would’ve capitulated and chosen this option). So make your way to Curry Hill, intrepid brunchers! You’ll love this place. 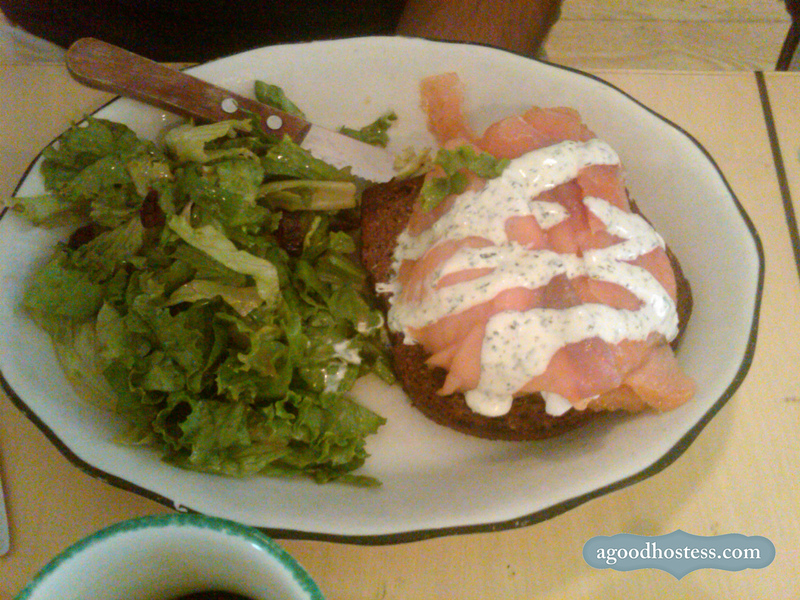 Salmon-wrapped poached eggs: surpassed our expectations of deliciousness upon consumption. Ellie’s Spinach Pie: heartier version of spanakopita. Would get it again in a heartbeat. ← Sis what are we going to do this fall?